Lori Dengler recounts personal, geologic and cultural connections between Northern California and Japan. Dengler was in Japan six weeks before the 2011 earthquake and participated in a post tsunami survey team six weeks afterwards. She helped to connect a tsunami debris boat found in Crescent City to a Japanese high school and recently co-authored a bilingual children’s book about the boat and how it connected high school students in the two countries. This talk is a preview of the address she will give on March 11 at Tokyo's National Museum. Celebrate HSU authors and their work on Friday, February 12 from 3-5:30pm in the HSU Authors Hall, 2nd floor of the Library. Refreshments will be served. Please join us in celebrating authors and creators that published works in 2015. 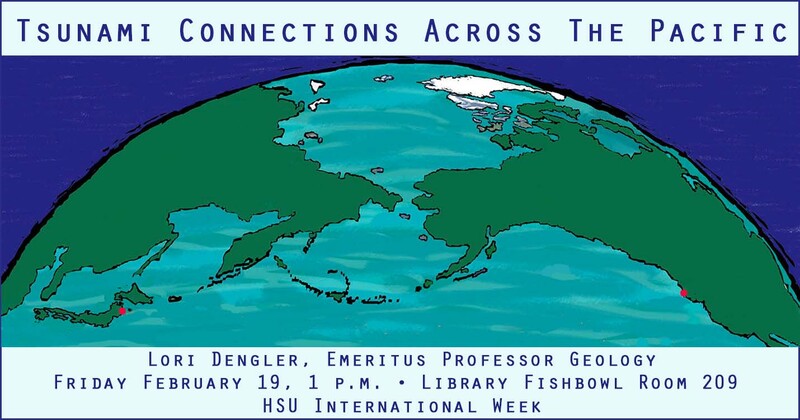 Lori Dengler will talk about the first publication of HSU Press - The Extraordinary Voyage of Kamome. Copies will be available for sale. The HSU Authors Hall, is a permanent, physical collection of books, CDs, and DVDs of scholarship and creative work published from faculty, staff, students, and alumni. 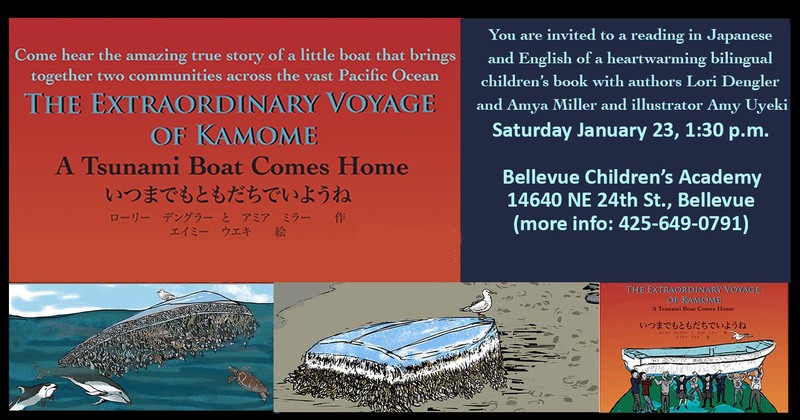 Free bilingual book reading in Japanese and English with authors Lori Dengler and Amya Miller and illustrator Amy Uyeki of "The Extraordinary Voyage of Kamome. A Tsunami Boat Comes Home." Discussion will include the background story of a boat that linked two tsunami-vulnerable communities across the Pacific. 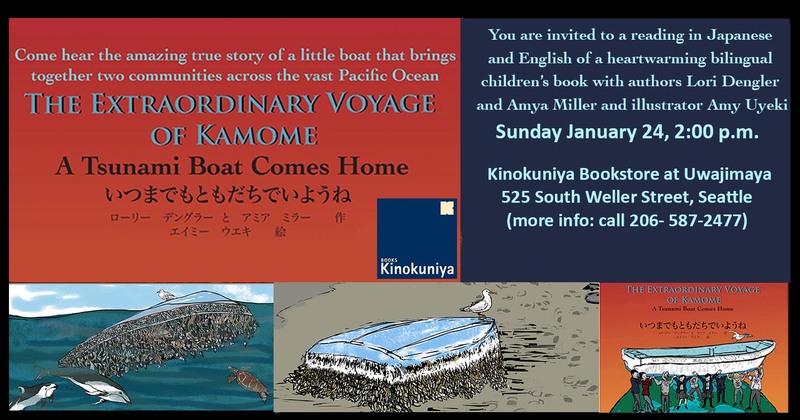 Bilingual book reading in Japanese and English with authors Lori Dengler and Amya Miller and illustrator Amy Uyeki of "The Extraordinary Voyage of Kamome. A Tsunami Boat Comes Home" with a discussion of the true story of a small boat that connected two tsunami vulnerable communities on the opposite sides of the Pacific. 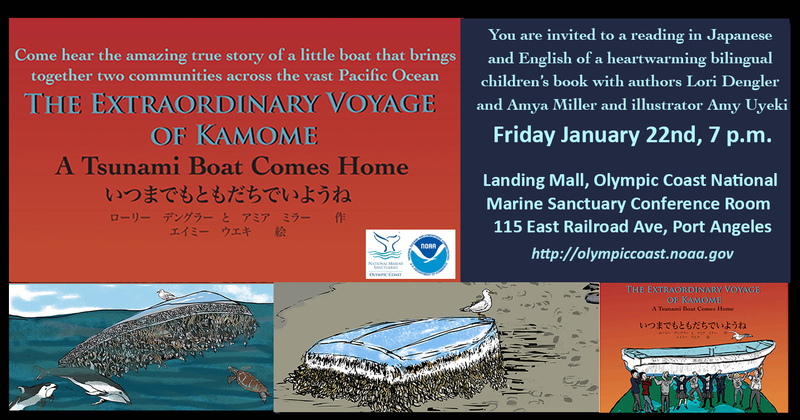 Join authors Lori Dengler and Amya Miller and illustrator Amy Uyeki for a free bilingual reading in Japanese and English of the hear warming new children's book "The Extraordinary Voyage of Kamome. A Tsunami Boat Comes Home", and the sotry behind the book. This sweet story, intended for lower elementary grades, provides a window for discussing earthquakes, tsunamis, marine debris, preparedness, and cultural awareness in the classroom and within families.